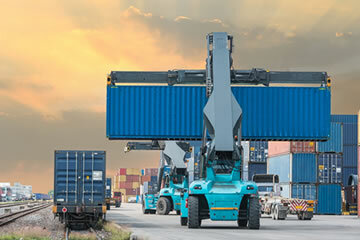 CALIDUS Rail integrates road to rail movements, with the added benefit of sophisticated shipping container management. 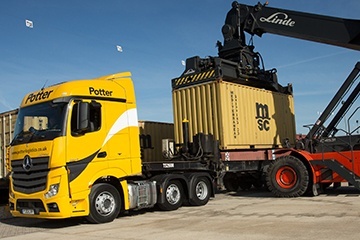 More and more companies are seeing the benefit (with the added potential of a Government grant) of moving appropriate cargo to rail operations with ‘last mile’ delivery by road. CALIDUS Rail optimises the movement, storage and tracking of standard shipping containers between rail and road, handling increases in volumes with ease. The system utilises mobile computer and wireless networking technology to speed the flow of both containers and vehicles through a multimodal hub. Loading movements to and from trains have to be tightly choreographed and CALIDUS Rail places the optimum technology in front of both shunter drivers and office-based staff. Front office to back office communication links are managed via high performance local wireless networks, which engineer out ‘dead spots’ and remove the delays associated with paper-based systems. From the moment a train, a truck or containers arrive on site, CALIDUS Rail is tracking movements and changes. Operators log on to their screens and the system ensures they perform only the tasks that are appropriate to their function, and do so in the most efficient manner to save time and fuel in the process. Performance can be monitored at frequent intervals. In addition to up to the minute situational awareness, which is vital in large sites, CALIDUS Rail provides a full suite of reports.